A person encounters three different stages on his or her journey towards learning and ultimately mastering the arts of grappling and Brazilian Jiu Jitsu. The first stage is the natural stage, in which a person is totally ignorant of proper technique and tactics and uses natural instinctual response to defend or attack in a grappling situation. At this stage, natural instincts alone prevail without thought process of right or wrong techniques. The second stage is the mechanical stage, in which a person learns techniques by training, using a process that what we often refer to in BJJ as “putting the reps in.” At this stage, the person trains the mind into new thinking patterns (the mental) and the body into new patterns of action (the physical). The combination of mental and physical aspects of the learning process results in the technical development of the athlete. Unfortunately, the fluidity found in the first stage is lost and learned techniques prevail over the instinctual response. In other words, your own effort to apply the technique will inhibit your ability to react spontaneously because your mind will get caught in all the details needed to apply the technique correctly. One has only to observe the game of two BJJ masters to see this “formless form” stage in action: Marcelo Garcia and Roger Gracie. The common observer will notice that their game seems “simple.” This is because they do not have to use fancy techniques. For example, Roger Gracie will mount and his opponent (who is a high level black belt) will not be able to escape against a basic choke that is taught to beginners. If you examine Marcelo Garcia’s game you will notice that his techniques start flowing and everything seems to be happening in simple repeating patterns. In attacking or counterattacking, his techniques emerge without repositioning and directly explode into action from point A to point B. Although he adapts to attacks like water, his game is not passive. He often initiates fast moving scrambles and gets into scenarios that are familiar to him, situations where he has simple solutions that do not require much effort and strength. That is how he ends up on the winning side of these scrambles. In order to do that he prefers simple-to-set-up techniques that rely on speed and the element of surprise so he can capitalize on his opponent’s natural reactions, like posting an arm or going for an underhook. Simplicity and going with the flow are concepts used in most martial arts and BJJ is no different. Key benefits of grappling using economy of motion are speed and energy conservation, as you do not end up using unnecessary movements. Marcelo’s game is all about concepts. Concepts give birth to new techniques and the application of these techniques will soon give way to new concepts, which is how the game evolves. This is when you start understanding the game. And when you understand the game, your mind frees itself from techniques and that enhances your ability for fluidity and spontaneous reaction. In order to achieve this state, the basics must first become second nature to you; you need to have certain attributes developed and a lot of “flight time” in rolling sessions or competition. Only then can you free your mind from the details of each technique and start working on applying concepts in live action. The concept that the whole is greater than the sum of its parts has been known from the time of Aristotle and has become a common phrase in English. Synergy is the interaction of multiple elements in a system to produce an effect different from or greater than the sum of their individual effects. In other words 1+1=3. In BJJ as you absorb different techniques from various sources you will soon understand that you cannot drill and get good at everything. You will also find out that certain types of techniques do flow effortlessly into other options. You will need to find sets of techniques that can work in groups complementing each other. Again, the aforementioned guillotine example is a perfect one. We have two techniques, the guillotine and the butterfly hook sweep, and each one can work when the other fails to deliver. Furthermore, techniques that work well together are those that adhere to certain concepts. Simply adding techniques to your game without a concept-based system will get you nowhere. Most great grapplers usually have a small number of techniques that work in synergy and can go to these techniques from many positions and from many different set-ups. In western boxing, a boxer learns basic punches, evasiveness, some footwork and a few blocks from his trainer. These techniques are the same for each boxer in the gym and the boxer is encouraged to train in them as the underlying similarities of the human structure (two arms and two legs) still allows for a common truth to exist in human combat. Eventually though, because of size, weight and individual attributes, every boxer develops his own style. A good trainer will notice the individual’s strengths and weaknesses, his body type and his characteristics and help him modify his game to work in synergy with these traits. For example, some boxers will use jabs and footwork like Muhammad Ali or hooks and short range attacks like Joe Frazier. In boxing we also have a different approach for orthodox or southpaw fighters. The result can still be identified as boxing, but is also unique for every fighter, as fighting is ultimately the art of expressing the human body. When picking the right techniques to complement your game you must take your personal attributes in consideration. Are you explosive? Do you have grip strength or great cardio? Are you flexible? How does your mind work? Can you make quick decisions required for scrambles or do you approach fighting in a slower manner looking for control and imposing your will? And then we have injuries. Do you have bad knees or back problems? Then maybe standing passes are not for you. Do you have finger problems? Maybe certain grips won’t work for you. 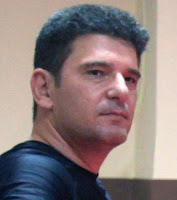 Everybody today knows how Roberto “Gordo” Correa developed the half guard game when he suffered a serious knee injury during his training and was forced to re-evaluate the way he grappled on the mats and started developing a half guard game. The overall awareness of the game is a journey, spiritually, intellectually and physically. It is not an easy one nor is it for everyone. Some people are talented athletes and can achieve greatness in sports just by following the instructions of their coach, but to become an artist in BJJ, especially if you plan to teach at a high level, you must first become a student and start learning THE GAME!